Many electrochemical processes have been automated using digital computers known as a Programmable Logic Controller or Programmable Controller (PLC). Examples of such processes include automatic controlling of machinery installed at factory assembly lines, amusement rides, light fixtures and many others. Allen-Bradley, Rockwell Automation has registered “Programmable Logic Controller” as its trademarks. This technology is being used for machinery operation as well as in the industry. PLC has been designed to bear numerous inputs and output activities at the same time, diverse range of changes in the temperature, protection from electrical noise and vibration and their impact. The non-volatile or battery-backed-up memory is the storage point of programs used to control operation of machine. PLC is a type of hard real time system. This is so because the output produced is done so owing to the various inputs that the computer receives and also it is very important that the output be generated within the specified time which is usually very short. If this is not done as such and the output generation exceeds the time appointed then favorable results will not be produced leading to malfunction in the machine operation. Siemens has the greatest share in the market with a contribution of as much as 30.7% towards the total contribution. Top second contribution is made by Rockwell Automation with 21.6% share. At third number comes Mitsubishi which contributes 13.9% to the total score. 8.9% of the share belongs to the company Schneider Electric. Omron falls at fifth rank providing 6.6% controllers in the market. Another company, GE Fanuc has a total share of 4.0%. The last company in the list is Moeller with the contribution to market of 2.3%. Some other companies which have application in various industries along with their positive and negative factors are being accumulated in the list mentioned below. SIEMENS AG provides PLC to Chemical, Petro-chemical, Off-Shore, FPSO and BMS industry. 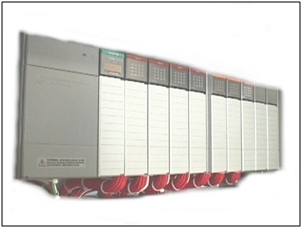 It is much recognized because the PLC processes inputs with a fast response time. But the negative point on their front is that during the functioning if even one component fails to act properly then the system becomes unavailable as a result of which the machine stops functioning which may lead to further issues. Moore Process Automation is another company with reach to the Chemical, Off-Shore and FPSO industries only. The strength of their provided PLC is that it has fully structured programming software along with the facility to manually select the outputs requiring shut down. However its drawback is that the structured programming is not favorable to process safety critical circuits which can be a problem. HIMA is another company dealing in PLC and attracting a decent market as well. HIMA has market in Chemical, Petro-chemical, Off-Shore and BMS business. The promptness of the company personnel in helping the customers solve their problems through fast response in short interval is a positive point of the company. HIMA has managed to attract customers from across the world. Another benefit of working with HIMA is that the customer gets the option to get the PLC configured as per demand proving to be much cheaper than others. But the thing holding the company back is that it is dependent on other bigger and powerful companies for financing and discounts when the consideration is for big projects. Present times immensely require the usage of such digital technology as it helps save both time and money. This article is based on an inquiry about the top most used PLC Systems in each part of the globe. What do you think? Is it still true/relevant today? Which PLCs do you personally use? or copy this trackback: http://engineering.electrical-equipment.org/electrical-distribution/the-top-most-used-plc-systems-around-the-world.html/trackback from your own site. I’m looking for plc for our vessel , can you please help me on this ?